So, it is Friday again – whew, what a week! A little birdie told me that there are some people who are really enjoying the Foodie Friday posts (although I wouldn’t know it as nobody ever comments 🙁 ) so here are some more interesting and healthy recipes for you and your Child with Cancer to try out together. Today we have another alternative to the usual boring breakfast that is sure to tempt your Little Fighter to eat the most important meal of the day; an easy but tasty pasta, and something sweet for your sweets. Guaranteed scrumptious and guaranteed to tickle their (and your ) taste-buds! Place butter in an oven-proof 25cm frying pan, or skillet and place in oven until butter is melted. Remove pan and tilt to coat sides with melted butter. Quickly pour batter into pan. Return to oven and bake until puffy and golden brown, about 20 minutes. Wash, core, and coarsely chop tomatoes. Tear basil leaves into 1cm pieces. Set aside. Pour 2 litres water into a large pot. Add sea salt and bring to a boil. Add pasta and cook 8–10 minutes or until pasta is tender but not mushy. Drain. Return pasta to pot and add tomatoes, basil, garlic, and olive oil. Toss gently. Add mozzarella and stir gently until cheese just begins to melt. Berries are good sources of vitamin C and fibre, both of which fight off cancer. All berries, but particularly strawberries and raspberries, are rich in ellagic acid, a phytochemical that has shown the ability to prevent certain cancers. Strawberries also contain a wide range of other phytochemicals, called flavonoids, each of which seems to employ a similar array of anti-cancer strategies. Preheat oven to 280° C.
Spread nuts in a small, dry frying pan. Stir gently over medium heat until nuts turn golden brown. 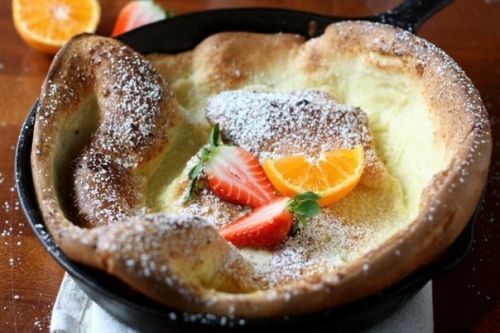 In a large mixing bowl, combine egg whites and cream of tartar. Beat with an electric mixer on high speed until foamy. Gradually add 6 tablespoons of the granulated sugar. Continue to beat just until the whites hold stiff, moist peaks. Mound meringue over the centre of the strawberries. Sprinkle nuts over meringue. Sift powdered sugar over meringue. Bake until meringue is lightly coloured (about 4 minutes). Serve at once.